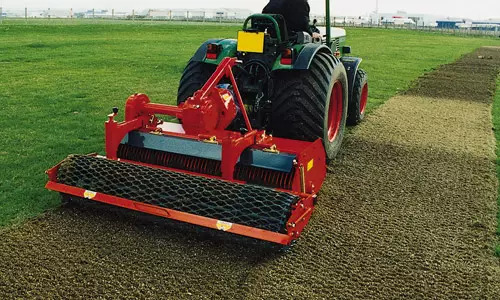 harrowing - stone, waste and grass burying - levelling - light hoeing - surface mixing - rolling . Meet the Rotadairon ® RD 200-250 machines. The Rotadairon ® RD 150-180-200-250 buriers can be used on unprepared grounds or after decompacting and rock clearing operations, depending on the ground type. Friction torque limiter adjustable settings with the torque screwdriver supplied with the machine. For RD 150 / RD 180 / RD 200 / RD250 machines, roller frame with manual offset settings and optional hydraulic motion.